im a sucker for cheek tints. 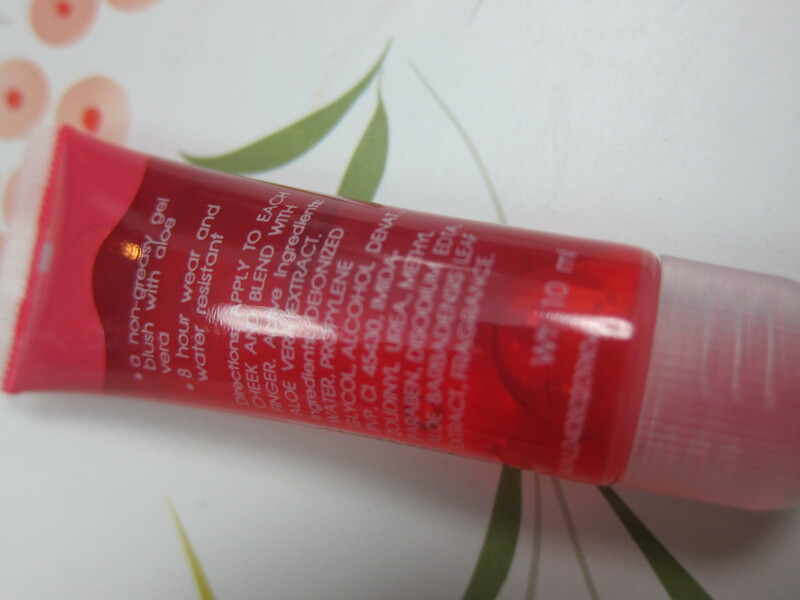 i grew up using body shop lip and cheek tint (the old version that comes in a glass container will roll on applicator). i loved that product. 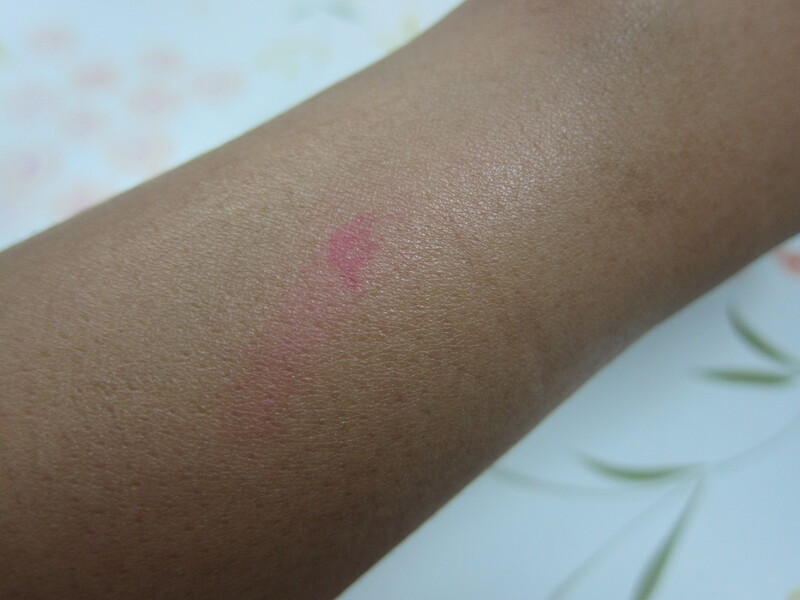 it gave me the most natural looking blush. 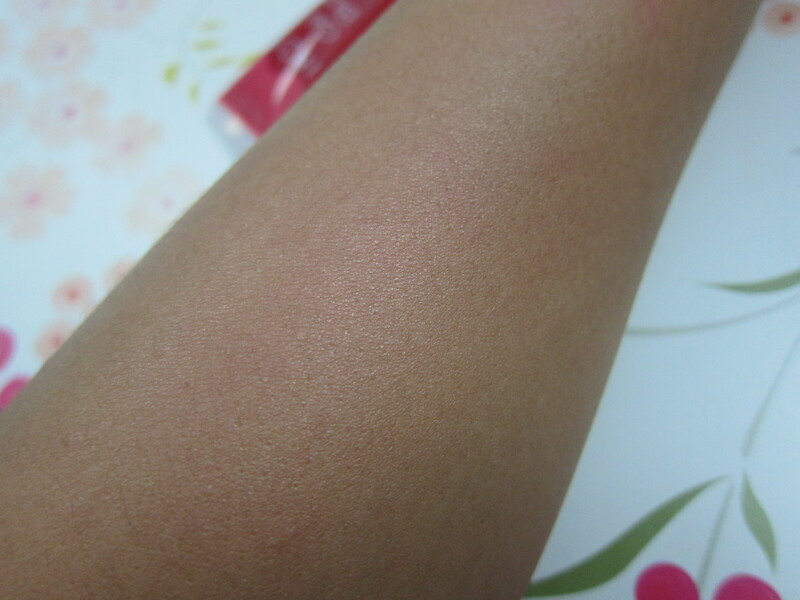 but since body shop changed the formulation, i’ve been trying to find a good replacement. that’s what attracted me to this product… when i tried it on in pcx, the color payoff was great. i actually thought that this would be it! but i couldn’t be more wrong… this has got the be the WORST product i have purchased in a very very very long time!!! it is definitely going straight to the garbage can! i wont even bother selling it to other people. it’s just not worth it. sigh. 1. very hard to blend. you have to make sure that your face is extremely moisturized to get this to work. 2. the tube makes it hard to control the amount of product that comes out. 3. DO NOT even think of applying this straight to your face. make sure you have foundation or tinted moisturizer beneath. why? 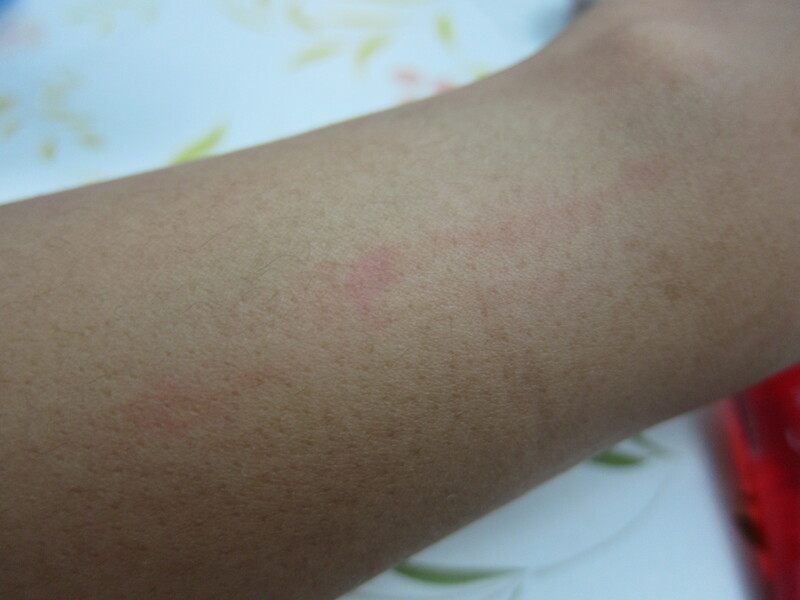 because it just wont come off!!! first time i tried it at home, i used water, nars eye makeup remover, shu ueumura cleansing oil and washed my face and it.just.won’t.come.off. in the end i had to scrub my face to get rid of the stuff. 3. bad move. 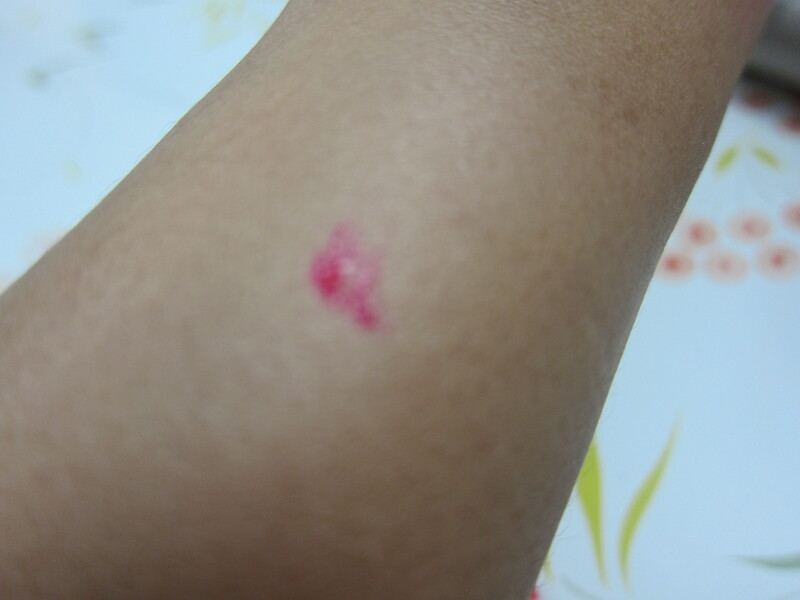 when i tried to blend, it left a mark where the spot was on! imagine if this was on your cheek!!! 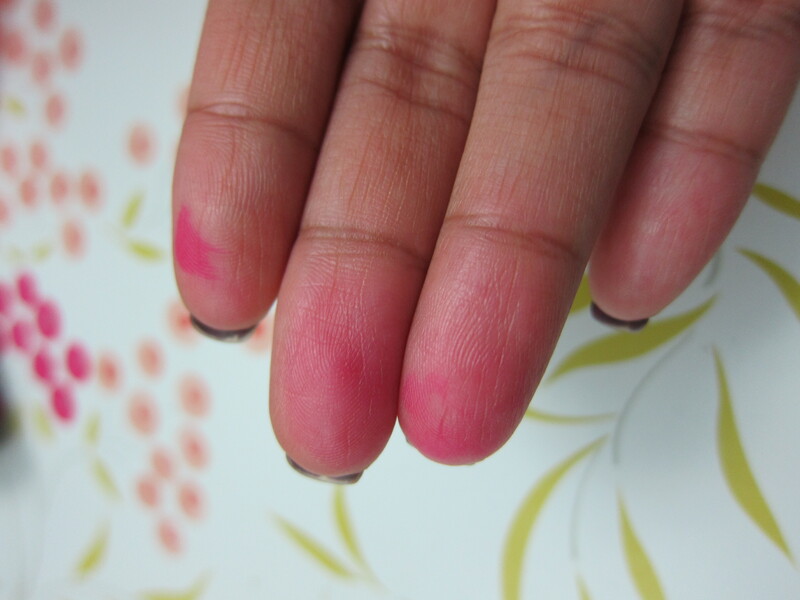 5. this was how bad my fingers looked after blending in the tint. definitely NOT using this on my face EVER again! it’s too bad coz i really like the color. but it’s just too much of a hassle. so disappointed 😦 oh well… my hunt for the perfect cheek tint continues… you gals have any recommendations? Another alternative is Tonymoly Tony Tint. Got myself one last night from eBay in Cherry Tint. The small sampler bottle cost me just P45.60 (plus shipping with other items I bought). 😀 Not bad at all, considering all the rave reviews I read about it. yup. 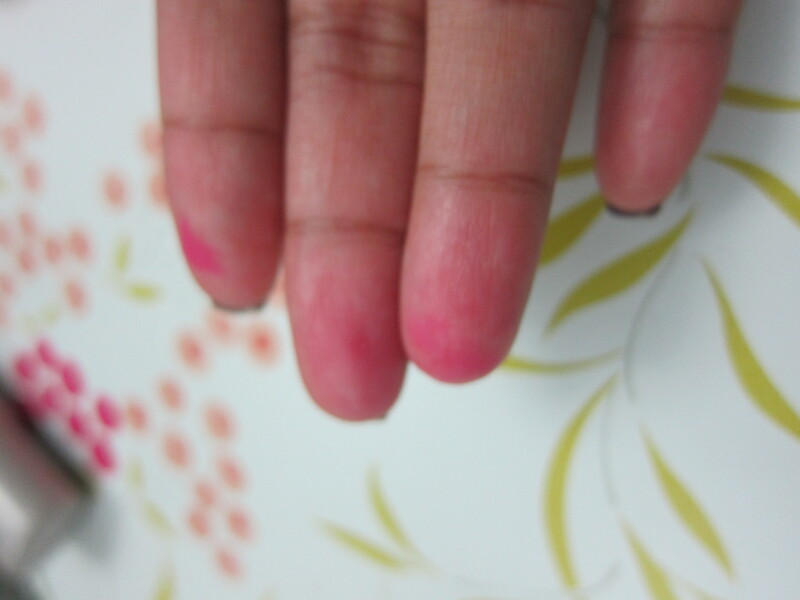 definitely the reason why i hate tints hehehe…. Thanks for the warning! I used to like In2it’s cream blush because it was so easy to apply with my fingers and the color looked really good on me. But when I finished the first and bought a new one, it made me break out. Lack of quality control. Their products are cheap and I guess that’s the best thing about them. What a stubborn cheek tint! Thanks for the warning. And I thought that it’s a good steal…. try careline lip and cheek tint..affordable and blends well. haha I own this tint as well. 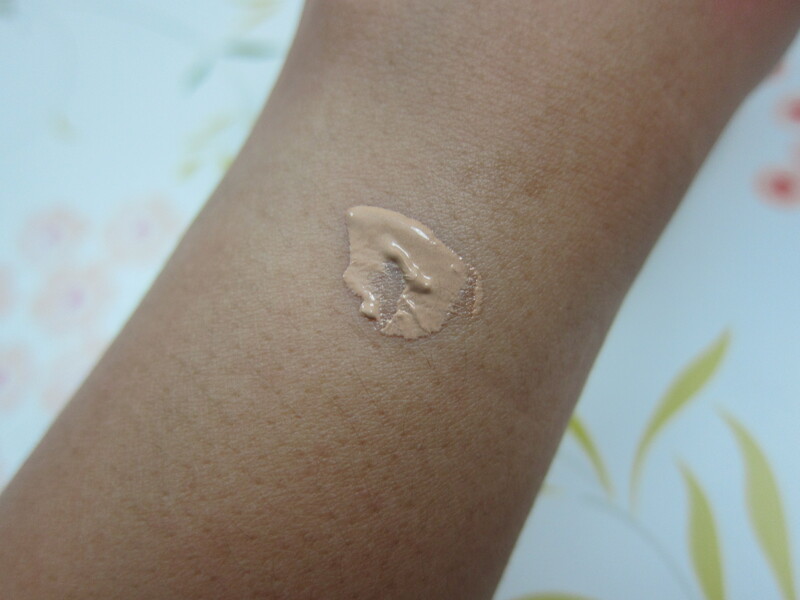 It’s my first tint (just started playing with makeup) and only used it once yata. First time was a disaster. I put on too much and my check looked like it’s been slapped. Ayaw pang matanggal! So frustrating. very stubborn no? hirap pa iblend. tsk tsk. i’ve been using avon’s simply pretty lip and cheek tint. it worked for me. 🙂 cheap too. Hi! 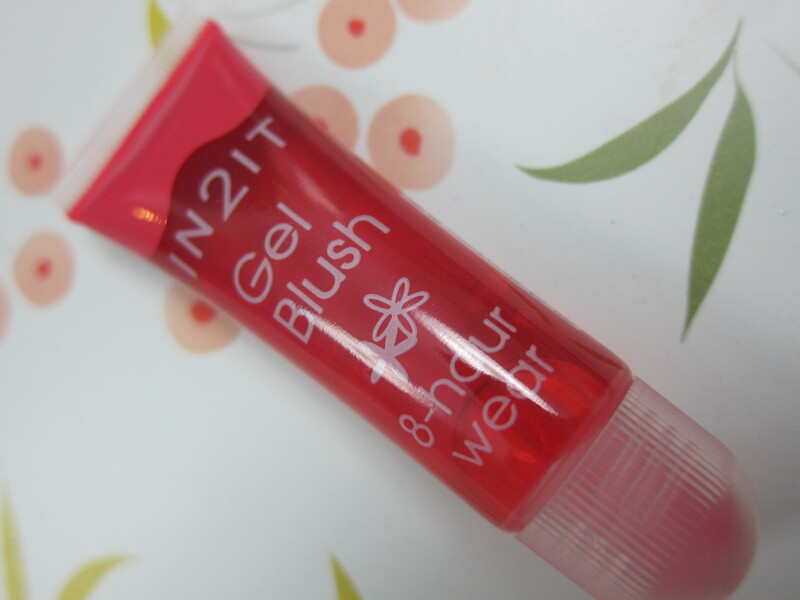 I stumbled across your blog looking for reviews on In2it gel blush. I’ve actually tried all three, and it seems this particular shade is really just difficult to work with. The other two are okay and they blend well. Never broke me out and looked so natural. 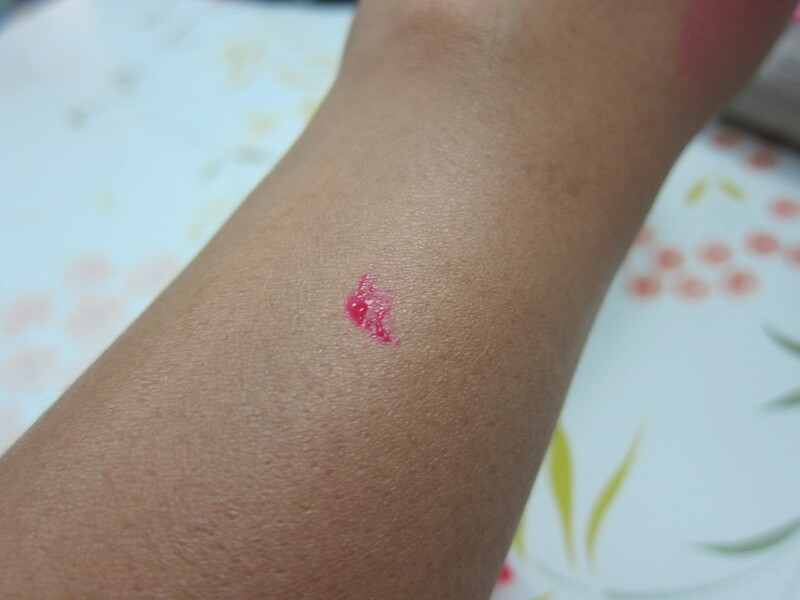 Tony Moly and Etude House tints are a wee bit watery, don’t you think?